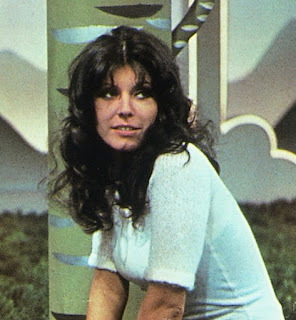 The actress, singer and later television producer Claudia Mori, married for more than half a century to Italy’s all-time biggest-selling recording artist, Adriano Celentano, was born on this day in 1944 in Rome. She and Celentano met in 1963 on the set of Uno strano tipo (A Strange Type) a comedy film in which they were both starring. The two were married the following year at the Church of San Francesco in Grosseto in Tuscany, having kept their intentions secret to avoid publicity. Mori was only 20 when she and Celentano - six years her senior - were married but she had already made several films. Born Claudia Moroni, she made her film debut in Raffaello Matarazzo’s romantic comedy Cerasella at the age of just 15 in 1959, featuring as the title character opposite Mario Girotti, the actor who would later change his name to Terence Hill and become famous as the parish priest Don Matteo in the long-running television series of the same name. The following year she had a supporting part a laundry worker colleague of Alain Delon in Luchino Visconti’s Rocco e i suoi fratelli (Rocco and His Brothers) and over the next two years played another supporting part in the Robert Aldrich’s biblical epic Sodom and Gomorrah, starring Stewart Granger and Pier Angeli, as well as co-starring as a beautiful princess in Giorgio Simonelli’s Ursus nella terra di fuoco (Ursus in the Land of Fire). In 1964, she co-starred with her new husband in Super rapina a Milano (Super-robbery in Milan), the first film Celentano also directed. At the same time, she was developing a singing career, releasing her first record - Non guardarmi (Don’t look at me) - in 1964. Her career was boosted by teaming up with Celentano in a number of duets, notably with Chi non-lavora non-fa l'amore (Those who don't work don't make love), with which they won the 1970 Sanremo Festival. In the 1970s, 80s and 90s, Mori alternated between acting and singing. More movie success came with Rugantino, L’emigrante (The Emigrant) and Culastrisce Nobile Veneziano (released in the United States as Lunatics and Lovers), in which she starred opposite Marcello Mastroianni. All were comedies, as was Yuppi Du, the 1975 movie in which she again starred with Celentano, who also directed the film. The English actress Charlotte Rampling was among her co-stars and the film was an Italian entry at the Cannes Film Festival. During the same decade, Mori enjoyed her biggest solo recording success with Buonasera Dottore. 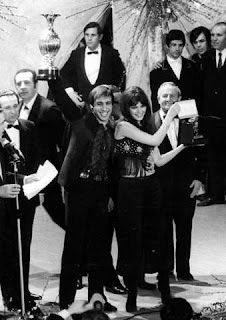 She became CEO of her husband’s record label, Clan Celentano, producing her husband's celebrated album of duets with Mina, Italy’s all-time biggest selling female artist, which sold more than two million copies. Celentano himself - now 81 - can look back on a career in which he has sold in excess of 200 million records, well ahead of any other Italian recording artist. More recently, Mori developed a television career. She was a judge on the Italian version of The X-Factor and her television production company Ciao ragazzi (Hello Boys) has turned out several successful mini-series of drama and drama-documentary films. She and Celentano are still together, although they separated for a period in the 1980s following Celentano’s affair with another actress. They had three children, Rosita, Giacomo and Rosalinda. Rosita is a television presenter, Rosalinda an actress. Claudia Mori’s debut movie Cerasella was filmed on location in Naples and on the Amalfi Coast, the 50km (31 miles) stretch of Campania coastline between the southern side of the Sorrentine Peninsula and Vietri-sul-Mare, the resort just outside Salerno. 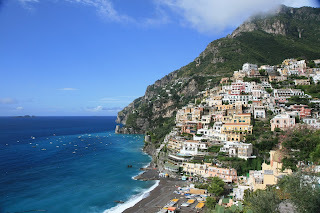 Notable for its steep cliffs and rocky inlets and coves, with a winding road that seems to cling to the cliff face, the area is a UNESCO World Heritage Site comprising a string of villages and towns, the most famous of which are Positano, Amalfi and Ravello. 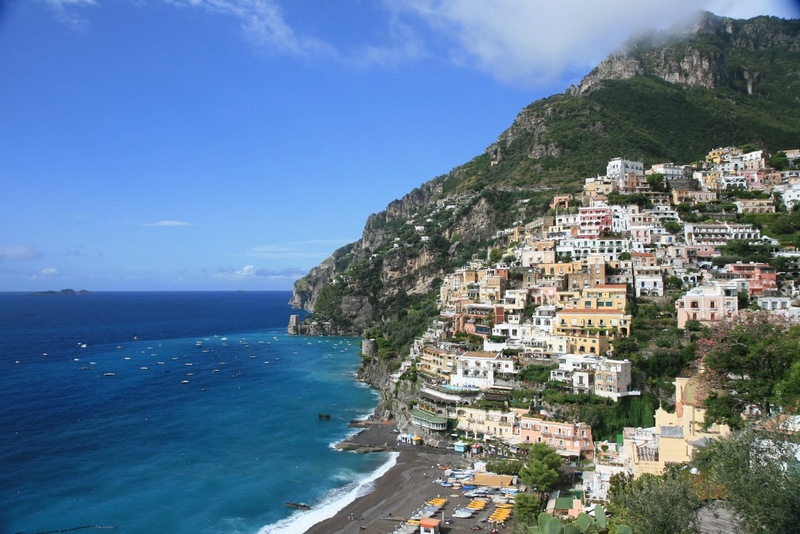 The town of Amalfi, which occupies a dramatic setting at the foot of the cliffs, attracts huge numbers of visitors each year. Its ninth-century Duomo dominates the town's central piazza, sitting at the top of a wide flight of steps. Mori and Celentano’s main home is in Galbiate, a small town in Lombardy about 50km (31 miles) northeast of Celentano’s home city of Milan and close to the small lakeside city of Lecco. Galbiate is close to Lago di Annone and Lago di Garlate, two small lakes to the south of Lake Como. 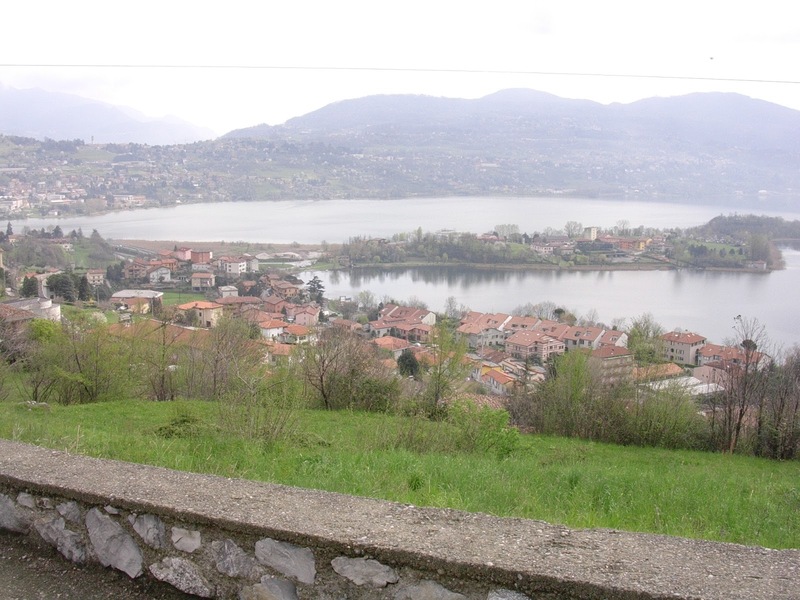 The area between the lakes includes the Natural Park of Monte Barro, which is the home of more than 1,000 varieties of plants in a climate of biodiversity probably unique in Lombardy. The area is also the habitat of birds of prey such as the the kestrel, buzzard, brown kite and peregrine falcon and the rare royal albanella.